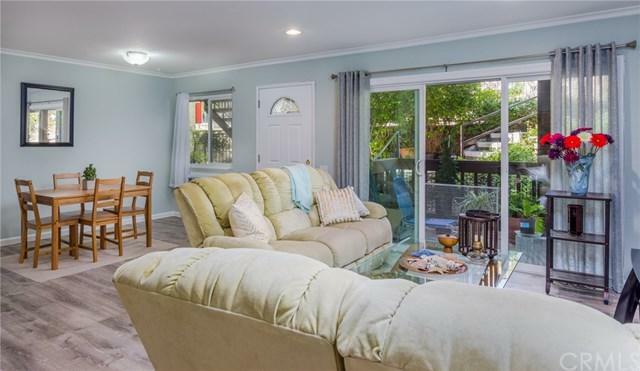 Beautifully remodeled 1 bedroom, 1 bathroom large end unit condo in the Miraleste Canyon Estates with resort style living. 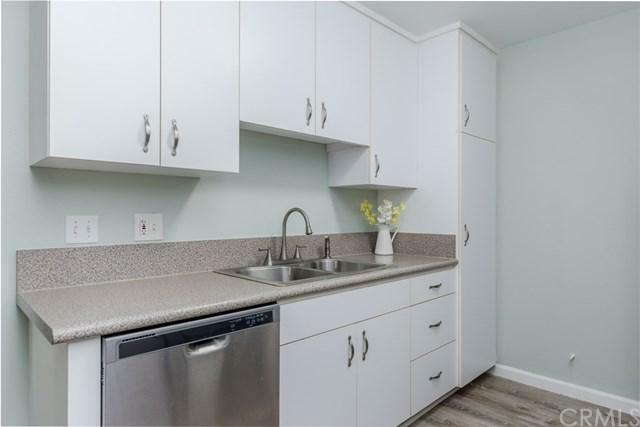 Recent updates in this unit include new paint, sterling oak luxury vinyl flooring, crown moulding, new dishwasher, recessed lighting and fixtures. The living room is very spacious and opens to a very large outdoor patio. The kitchen has newer stainless steel appliances and plenty of cabinet and counter space. The master suite is quite large and offers a very generous walk in closet. 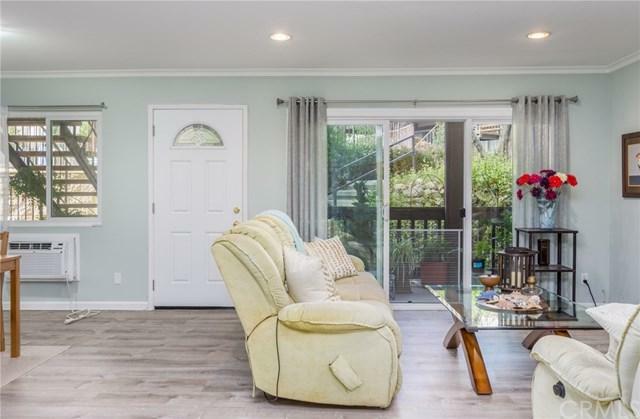 T Beautifully remodeled 1 bedroom, 1 bathroom large end unit condo in the Miraleste Canyon Estates with resort style living. Recent updates in this unit include new paint, sterling oak luxury vinyl flooring, crown moulding, new dishwasher, recessed lighting and fixtures. 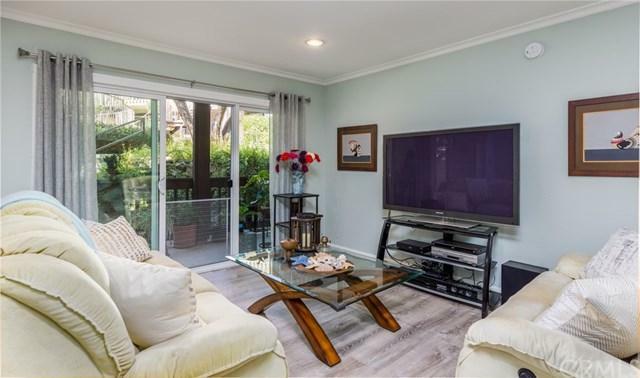 The living room is very spacious and opens to a very large outdoor patio. The kitchen has newer stainless steel appliances and plenty of cabinet and counter space. The master suite is quite large and offers a very generous walk in closet. This condo is steps from the pool and club house and overlooks beautiful, lush landscaping giving it a tranquil feel. The resort-like community offers wonderful amenities such as 3 pools, 3 jacuzzis, 2 gyms, 24/7 security guards, a game room, a banquet room as well as beautiful landscaping and trees throughout the property. Parking Space #113.